Since May, Saskatoon city councillors have fielded complaints from people whose campers and trailers were ticketed in the middle of the night on residential streets. Micheal Groulx says he tries to play by the City of Saskatoon's rules. Groulx owns Mico Construction, which employs more than 40 people. Each night, he parks work trailers on his driveway in Hudson Bay Park. Groulx repaved that driveway and sidewalk in September, with city inspectors warning him not to use the pavement for at least a week. That night he parked three trailers on his street, and woke up to find three tickets for $30 each, issued at 2:10 a.m, 2:12 a.m and 2:13 a.m.
"I was kind of shocked," Groulx said, noting his driveway was barricaded with pylons because of the wet concrete. "If they'd told me I had to park them somewhere I would have...in the seven days I was doing my sidewalk I couldn't drive over it." When Groulx went to City Hall, staff asked him to submit photos and a detailed report so city officials could consider voiding his tickets. A neighbour agreed to let him park the trailers on her driveway for the next week, while the concrete dried. Three weeks later, an e-mail informed Groulx he had no choice but to pay. In an subsequent e-mail to Ward One councillor, Darren Hill, Groulx said he was deeply upset by the city's parking authority's behaviour, describing it as mischievous, inconsiderate, rude and disrespectful of his time. Groulx said his neighbours did not complain about his trailers. But he does remember a parking commissionaire looking for violations in his area a few months earlier —​at 4 a.m one morning. "He was going to issue me a ticket and I asked him what he was doing," said Groulx, who was loading his truck and trailer with supplies for a construction job. City staff said residential parking enforcement is typically complaint-driven, although they noted one of the city's customer service lines is open 24 hours a day. Other councillors tell CBC they've fielded similar complaints since May. "In an area like Sutherland or Forest Grove where there is no residential permit program, there should be no reason why a commissionaire is ticketing at 2 a.m.," Darren Hill said. Hill said he will send parking officials a formal request for details on how many tickets have been issued in the early morning hours this year, where they were issued and which commissionaire signed them. "Any ticket that was issued to anyone who's never received a warning on this matter, every single one of these tickets should be voided," said Hill. He said parking services staff, the city clerk, councillors and customer service agents have now spent hundreds of hours dealing with irate trailer and recreational vehicle owners. "That is unacceptable those staff members should have to be put through this because of the actions of one commissionaire," he said. 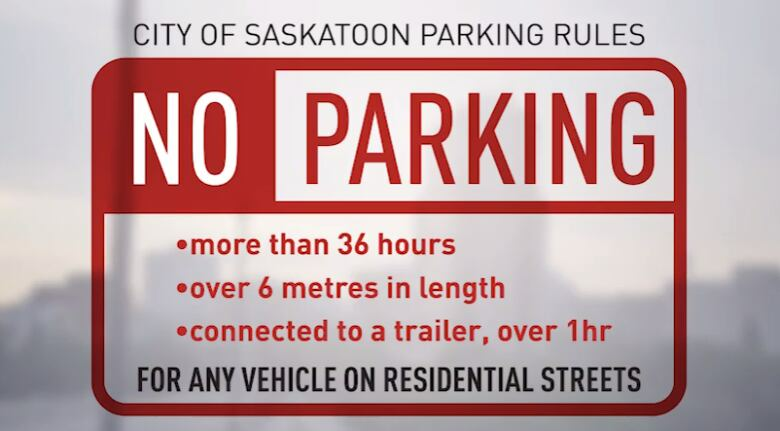 The City of Saskatoon said it has parking enforcement officers who work between 6 p.m. and 8 a.m. dependent on weather-related issues and events taking place in the city. The parking bylaw is in effect all hours of the day and the city said it encourages everyone to follow it at all times.